So it’s been exactly two weeks since I received my first ever Glossybox, the ‘Natural Beauty’ box and I promised you that I’d bring you a follow up on how I’m getting on with the products inside, so that’s what I’ve got for you today! If you’d like to see what I received in my box in less detail, and an overview of the entire box, click here to be taken to my contents and initial thoughts post which went live two weeks ago today. Likewise if you’d like to be filled in on what a Glossybox is, for those who don’t know, click here to find out. 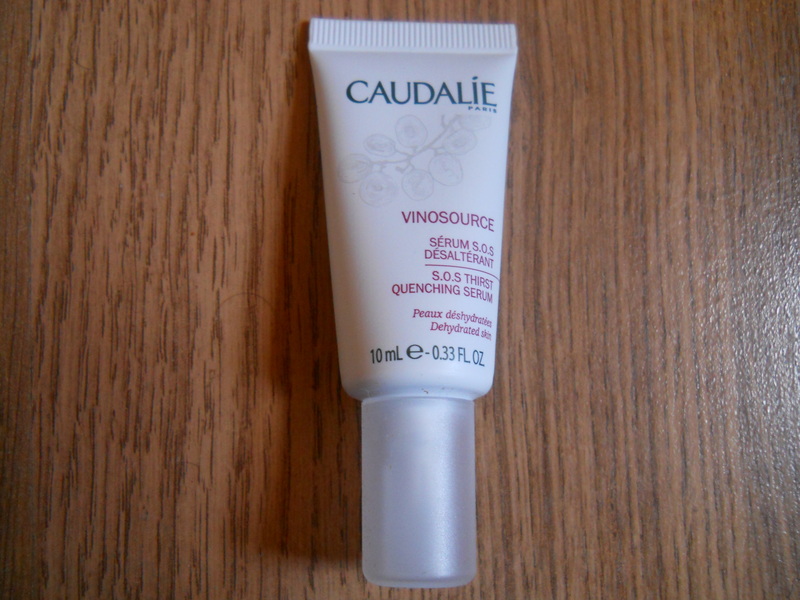 So the first thing I received was the Caudalie Vinosource SOS Thirst-Quenching Serum and I have to admit, I really didn’t notice a difference in my skin after using this. Although it feels quite soothing going on and does feel hydrating, it doesn’t do anything for me that I feel that my moisturiser doesn’t do. As I mentioned in my initial thoughts post I have a very quick, simple and effective skin care ‘regimen’, if you could even call it that, and I really don’t see a place for this in my routine. My skin is very picky, and I’ve had many ‘too many cooks spoil the broth’ situations before, too many skin products just end up leaving my skin very confused and often worse off than when I used less, so I think I’ll be skipping on purchasing the full size of this product. If you’re someone with seriously dry skin who needs help, this will be great for you, especially if you have a serum shaped hole in your beauty regimen. 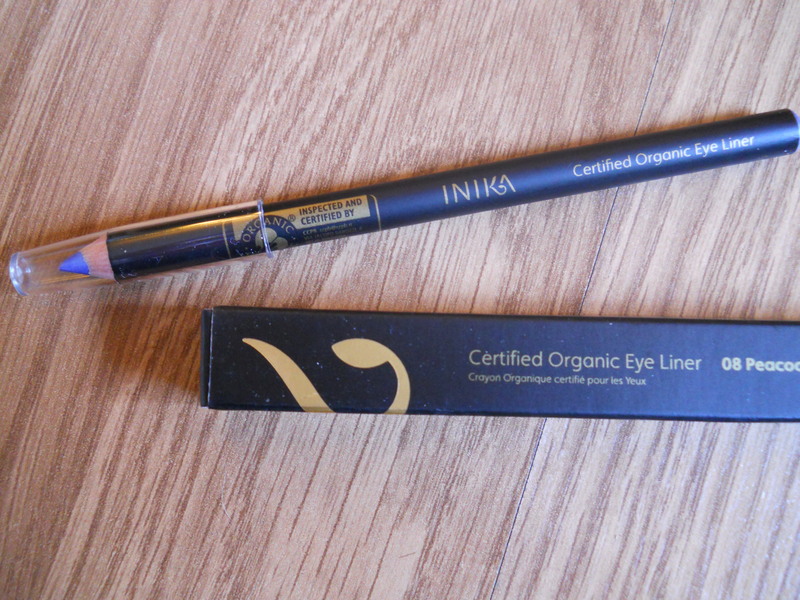 The next thing I received was an organic eye liner by Inika in Peacock Blue, and I was really excited to try this as I don’t have another liner like it. There is a reason for that though, and I found that finding an appropriate time to wear this was difficult as it is so vibrant and not exactly an everyday shade. Though I am a fan of the colour when it’s on, it doesn’t stay terribly well on the waterline and despite how pigmented it is, it is also very smudgy. I think that if you were wearing it for a night out, or an event where you can touch up your make up, or aren’t going to be staying too long, it would be OK, but for all-day wear this just would not cut it. Had I received a black or a brown in this liner, I’d probably be more disappointed, but being as mine is such a beautiful colour, I’m willing to try and work with it a bit more. 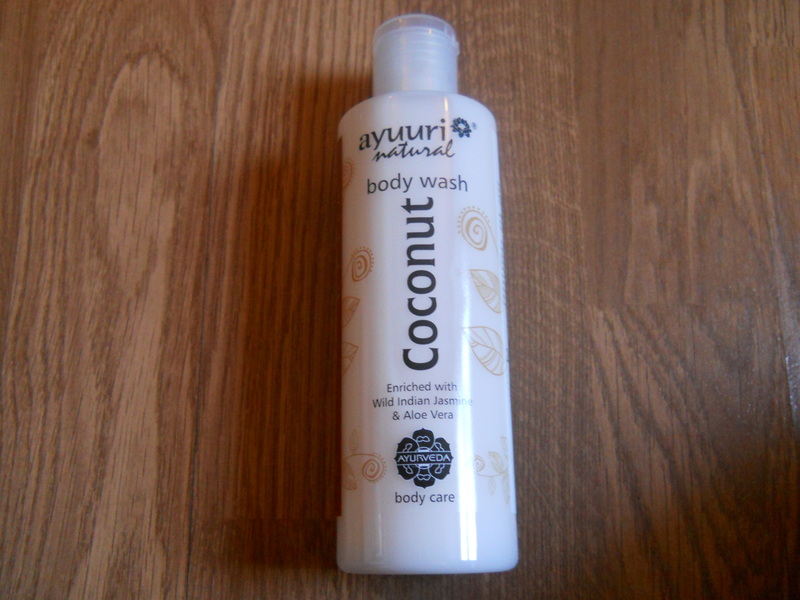 The next thing I received was an Ayuuri body wash in coconut, which I love the scent of, it’s really gorgeous. Having used this in the shower tirelessly since I got it, I can say that it is a good all round body wash with a nice scent, however I can’t say that I’d re-purchase it. While the scent is gorgeous, I feel that it could be more coconutty and perhaps less aloe vera and jasmine infused, as they take away from the coconut somewhat. Having said that, the product does leave skin soft and the scent does linger on the skin once you’re dried off and dressed etc. I just don’t think that the price tag is truly worth the product and I feel that there are other body washes out there that do the same job cheaper. 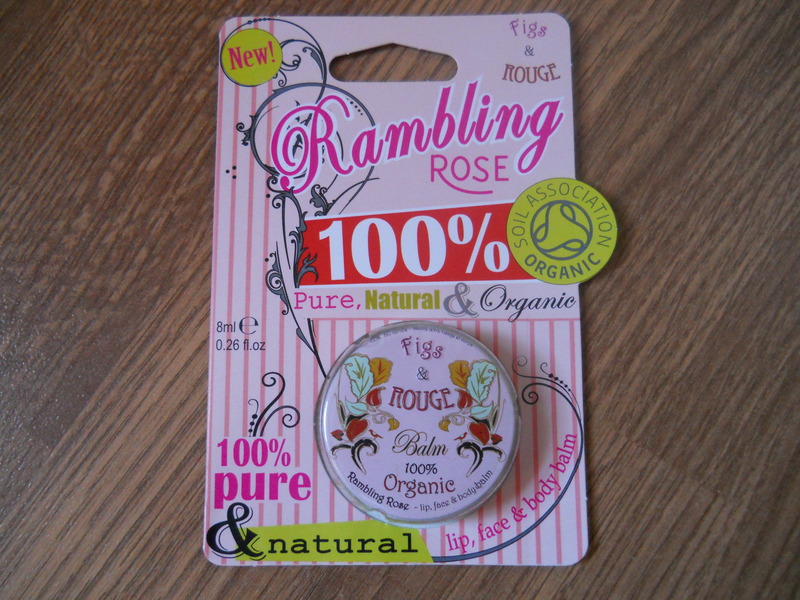 My absolute favourite product in this month’s box was definitely the Figs & Rouge Rambling Rose lipbalm, and I’m so glad that I received the scent I did, as had I received the mint balm, I may not have been as thrilled. The first thing that drew me into this lipbalm was the gorgeous rose scent and secondly I adore the texture of it, which is somewhere between buttery and sugary, but definitely not sticky or greasy. It is perfect on the lips and really leaves my lips feeling hydrated and prevents them from peeling like they do so often after wearing lipstick for long periods of time. I adore thicker consistencies of balm, such as the Body Shop lip butters of which I’m a huge fan and I feel that this is in the same league. It’s a great everyday, throw-in-your-handbag balm and I love the sheer non-sticky gloss it leaves on the lips. Lovely. 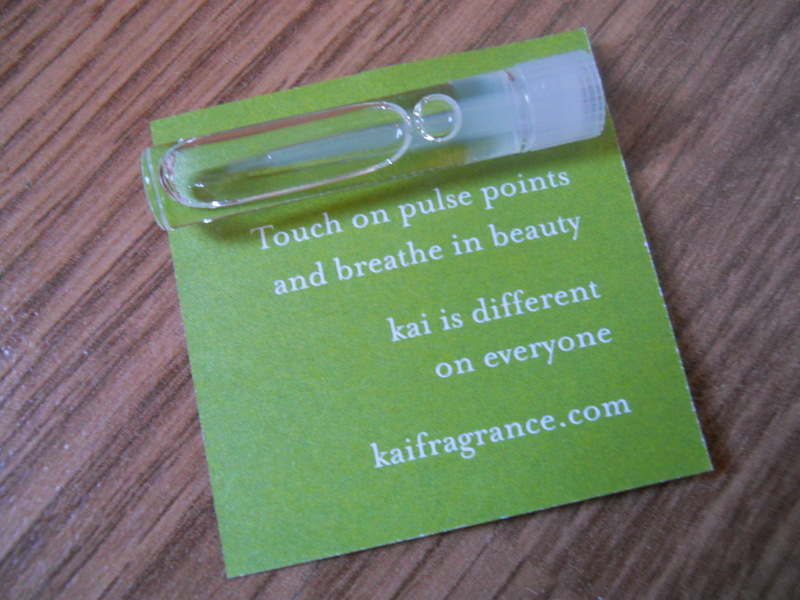 Next is a product I definitely have not revisited since I initially opened it, and it’s the Kai fragrance tester. It’s no one’s fault but my own that I don’t enjoy this scent one bit, and I know that there are people out there who will love this, but to me it’s just not my thing, at all. I actually got rid of this shortly after opening my box as I dislike the scent and really didn’t want it to transfer onto my clothes etc, as it is very strong and lingering, which isn’t ideal when you’re not a fan. Including fragrances in a box like this is always going to have its ups and downs but I’m sure that there’ll be instances where I receive a scent I adore and that others may not too. That’s just the nature of a box like this. Overall I’ve enjoyed the Glossybox experience and am excited for what might be in my May box, of course you’ll be sure to find out on the day I receive it too! I really have enjoyed being able to test so many new things and although a few of them may not have been to my taste, I like the fact that I can say I’ve tried them and further learn what does and doesn’t work for me. I highly recommend the box if you like a monthly surprise or gift to yourself and love trying out new things, especially that you may not have even thought of. 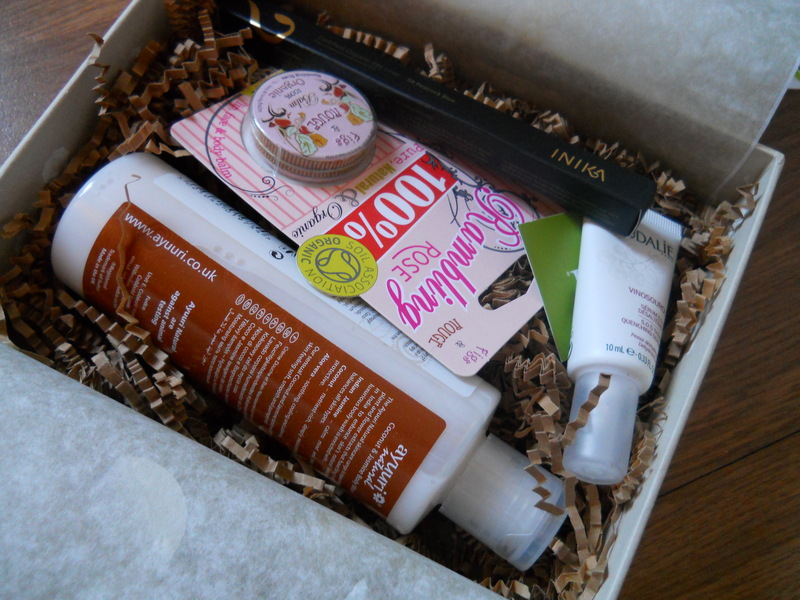 For more information about the box, subscription, costs, and more photographs, click here to read my first Glossybox post. All photos and opinions are my own, I am not affiliated with Glossybox or any of the featured brands in any way.